The Katar Light Cruiser is the workhorse of the fleet, commonly used in inner and outer system defense roles. It carries heavy torpedoes, particle beams and point defense weaponry. The Starship Series delivers ships you can use in your Starfinder campaigns. 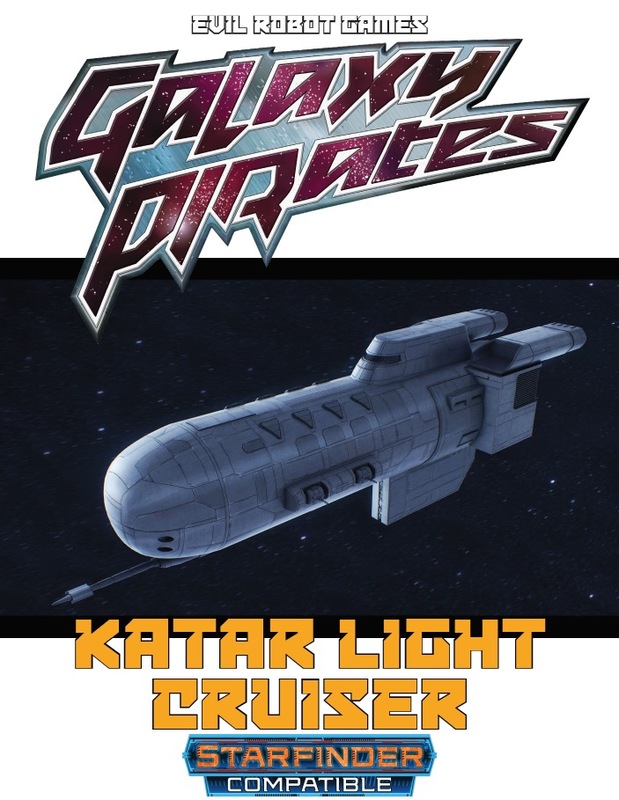 The Katar Light Cruiser: a Tier 6 vessel, includes a full primary stat block with crew skills. and predetermined Scan Results. This Galaxy Pirates product is part of a new line, we’d love it if you'd give us some feedback on it. 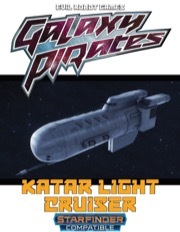 Sign in to start a discussion about Galaxy Pirates - Starships: Katar Light Cruiser PDF!